How did Split Lip Press start? J. Scott Bugher started Split Lip Magazine in 2012 and the press in 2013. The name came from a Midwestern band called Split Lip (who later became Chamberlain). The first books published were the result of a poetry chapbook contest. J. Scott retired from the magazine in 2014, and I took over as editor. Scott was ready to move on from the press in 2015, so I produced my first book (Katie Schmid’s chapbook forget me/hit me/let me drink great quantities of clear, evil liquor) and then kept going from there. Tell us a bit about Split Lip Press. What are your influences, your aesthetic, your mission? Influences are all over the place. Our tag is “punk rock publishing,” which relates on several levels. We like experimental, we like culturally relevant, we like some dirty/gritty with our pretty. We also like to work with first-time authors. As far as my mission: I like to say I want to put out good books by good people. It’s important to me to be part of the literary community, and it’s important that my authors participate in the literary community. This isn’t just about do-gooding either: the literary community buys literary fiction. There is almost a direct correlation between how involved each author is in promoting their work, etc. and how many books they sell (not that anyone in this is making a living wage). I think that level of autonomy is something really cool and something that only small presses can offer. 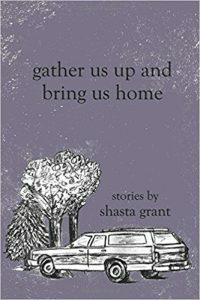 We just released a short fiction chapbook by Shasta Grant, Gather Us Up and Bring Us Home last week. Next up is Kristen Arnett’s much-awaited collection of short stories Felt in the Jaw. And we’re ending this year on a high note with our 2016 Turnbuckle Chapbook winner Sam Wein’s book of poetry, Fruit Mansion. As for the future? This summer is devoted to going through manuscripts and planning our 2018 catalog. I confess to being a little behind because I’ve been flying solo, and I find it hard to bring people in/ask for help. I am (maybe) a little bit of a control freak, and Split Lip is my baby. 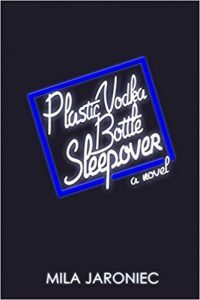 As for the future: I’d really like to publish something hybrid, a full-length memoir (or collection of flash memoir/essays), and another novel (Mila Jaroniec’s Plastic Vodka Bottle Sleepover was our first). 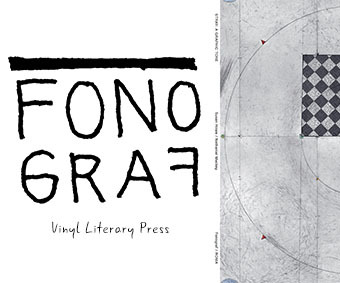 I’m really excited about seeing small press authors making waves in the big press world. I think indie presses are a hotbed of talent. Well: a lot of them. I think the literary world can still be a huge circle jerk, and there are some presses that seem to purely exist to publish their friends, even if their friends aren’t that great. I think this dilutes the quality, especially with so many chapbook presses in existence. I publish books I’m excited about: it’s the only way I can keep going (especially when it gets tedious and frustrating, like when I’m formatting in Adobe). I also don’t think there are enough small presses wanting to do the work of publishing full-length books in all genres…and I get it, because it’s hard. 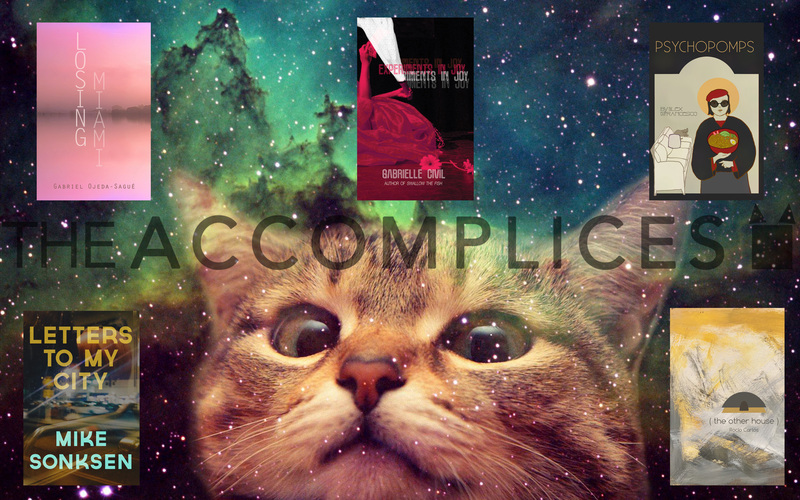 We are still only publishing 4 titles of year, and it’s a bit of a scramble. How do you cope? There’s been a lot of conversation lately about charging reading fees, printing costs, rising book costs, who should pay for what, etc. Do you have any opinions on this, and would you be willing to share any insights about the numbers at Split Lip Press? No, I’m not making any money. We don’t pay advances (because we can’t), but we do pay a much higher royalty to our authors than most (20-25%) and from what I hear, we are also more generous than a lot of presses about getting books to our authors. I charge a reading fee, with the caveat that if it is prohibitive to you financially, you can just send me an email with your submission. Ideally, there are solid advances, great royalties, and no reading fees, but for now, the small press world is more of a sharing economy. We support each other. It’s not perfect, but it’s good. I pay reading and submission fees. 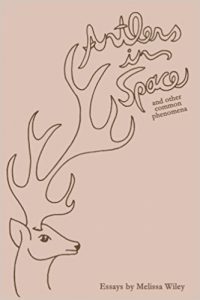 I buy small press books. 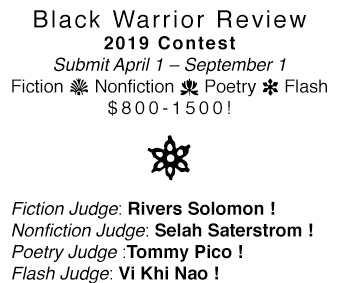 The reading fees are the only thing that can get me to AWP, which is also the only conference we do each year (for now). The biggest fees for me are actually shipping…which is the USPS…which is run by the government….so, you know, good luck with that.